Do you have a LEGO lover in your house? If so, this is going to be perfect for you to keep the inspiration flowing and achieve master-builder status! 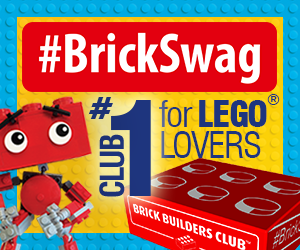 BrickSwag is box full of LEGO-themed merchandise that arrives in the mail just for your builder. It even arrives with their name on the package. Go over to brickswag.com, choose your plan and use code FAM20 for your extra 20% savings! Be on the look out for a product review coming soon!